MANCHESTER, England (CNS) — The head of a Catholic order that runs homes for psychiatric patients welcomed the first prosecutions of Belgian doctors for an illegal act of euthanasia. “Also, in other countries where euthanasia is legalized, they will be very curious about the outcome,” he told Catholic News Service in a Nov. 28 email. “Suddenly one case has been taken very seriously and has gone to the level of the higher court,” he said. Nys had persuaded the three doctors to certify that she was suffering unbearably and incurably from Asperger’s syndrome so that she could meet key legal criteria to die by lethal injection under the Belgian euthanasia law. In April 2010, within two months of obtaining their consent, Nys died by euthanasia in the presence of her family. Her sisters, Lotte and Sophie, have since argued that she was not autistic but was simply upset about the breakdown of a relationship. They said their sister received no treatment for her alleged condition before her death, so they maintain it was not possible for doctors to establish that it was unbearable and incurable. The criminal cases were announced Nov. 22 by authorities in Ghent and were reported the following day in the Belgian media, which named the doctors only as Joris V.H., Frank D.G. and Godelieve T.
The three will be tried by jury and, if convicted, the jurors will advise the judge on what sentences should be passed against them. The authorities moved against the medics just weeks after Dutch prosecutors pressed charges against a doctor who slipped a sedative into a senile woman’s coffee, then injected deadly drugs into her body as her family pinned her down because she resisted. Like the Belgian cases, the Dutch case will be the first prosecution of a doctor in the Netherlands for failing to observe the law, which stipulates that a patient must be capable of freely consenting to death. Two other doctors in Holland are being investigated for similar offenses. 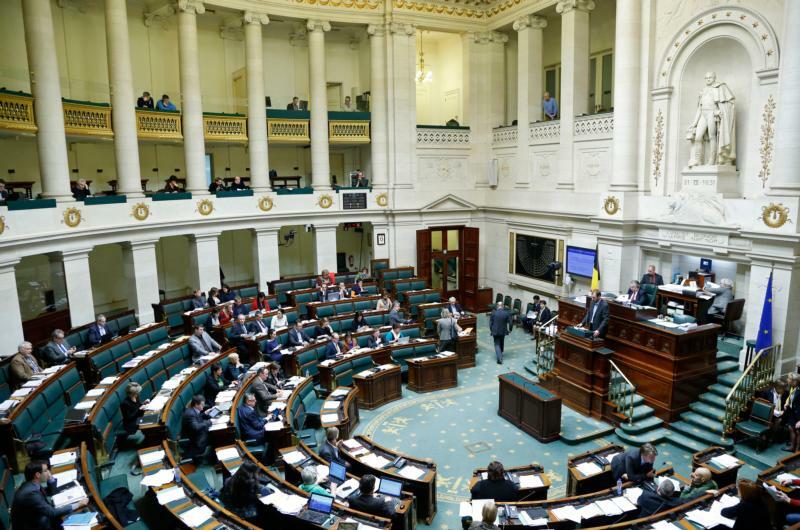 Brother Stockman said: “We all know that Belgium is on the top with a very liberal law on euthanasia, even for minors and psychiatric patients. “We can only hope that this case will invite people to reflect which way they are going with society, where absolute freedom and autonomy and self-determination have become absolute No. 1 on the scale of values,” he said. Over the past 18 months, Brother Stockman, a psychiatrist, has struggled to prevent euthanasia being practiced at 12 care homes run by his order after it changed policy to conform with Belgian law. Last year, he sought the intervention of Pope Francis. He told CNS Nov. 24 that he believes the issue is close to being resolved.